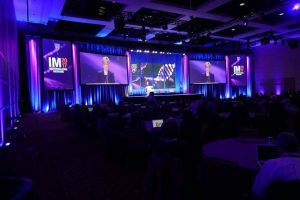 Moderator Cathy Wurzer, anchor for Minnesota Public Radio, welcomes conference attendees to #CIMCon17. Sharing cutting-edge research, clinical practice insights and networking continued at the second day of Individualizing Medicine 2017: Advancing Care Through Genomics, a conference hosted by the Mayo Clinic Center for Individualized Medicine in Rochester, Minnesota. Robert Green, M.D., started the morning sessions by acknowledging that there are still many who are skeptical about the value of genomic medicine. It isn’t clear whether genomic information will be misunderstood by both physicians and patients and whether the benefits of genomic testing will outweigh the potential harm and costs. That’s where empirical data, both on a large and a small scale, can help demonstrate where genomic testing can offer the most benefit, according to Dr. Green, who is director, Genomes2People Research Program and a medical geneticist at Brigham and Women’s Hospital and Harvard Medical School. Today, genomic testing is used most often on an individual basis to diagnose and treat conditions such as cancer and rare disorders. Dr. Green is studying how genomic testing can improve overall health for large groups of people. He shared compelling results from his research, beginning with the REVEAL study which explored the value of informing participants whether they had a genetic mutation that put them at risk for developing Alzheimer’s disease. His work showed that people were not only willing to learn about their potential risk of disease, they were willing to make lifestyle and other changes in response to findings. Most people understood the results they were given. Participants valued ancestry and nonmedical information that was provided. Participants did not change their medications or their current disease screening practices based on their results. Participants claimed to improve their diet and exercise routine - regardless of the results they received about their genetic risk. Primary care providers were unprepared and frustrated when asked to interpret results for participants. To explore the benefit of using genomic testing in everyday clinical care, Dr. Green and his team conducted the MedSeq study, which revealed that 21 percent of participants had one of the 4,600 genetic mutations they tested for that are linked to risk for developing disease – valuable information that could improve diagnosis and treatment in the future. This study showed that participants in genomics studies have serious concerns about their privacy, the security of their data and possible discrimination for future insurance coverage based on their results. Dr. Green is also studying how genomics may help improve overall population health by genomic testing of newborns in the BabySeq study, with the aim of diagnosing and treating disease early on. His work is already illustrating the value of returning incidental findings. For example one of the infants and the infant’s mother had the genetic mutation BRCA1, which increases the risk for developing breast and ovarian cancer. According to Dr. Green, this discovery would not have been made without genomic testing as the mother’s family medical history was incomplete. Stephanie Devaney, Ph.D., deputy director, National Institutes of Health All of Us Research Program, provided an update on this unprecedented national program that is enrolling a million people into a research cohort to advance an individualized approach to managing health and disease. The All of Us Research Program bioank at Mayo Clinic will store 35 million biospecimens used in the research. Eric Dishman, director of the program, shared a video message emphasizing his strong belief in the program’s mission on both a personal and professional level. For Dishman, genomic medicine helped uncover the right treatment for his rare kidney cancer – only after he endured 23 years of what he called failed cancer treatments. The All of Us Research Program is ramping up the national launch in spring 2018. Deliver a national resource of clinical, environmental, lifestyle and genetic data on one million participants who are engaged and committed to providing long term health data. Reflect the broad diversity of the U.S. by including participants from all ages, races, ethnicities, genders, socioeconomic groups, geographies and health status, with an effort to engage underrepresented minority populations through community partners. Build the tools and capabilities that make it easy for all researchers from citizen scientists to premier university labs to make discoveries using the data and biospecimens from the program. Dr. Devaney emphasized that participant privacy is a priority, with data security being integrated into all phases of the program. Participants will also get back information important to their individual health. 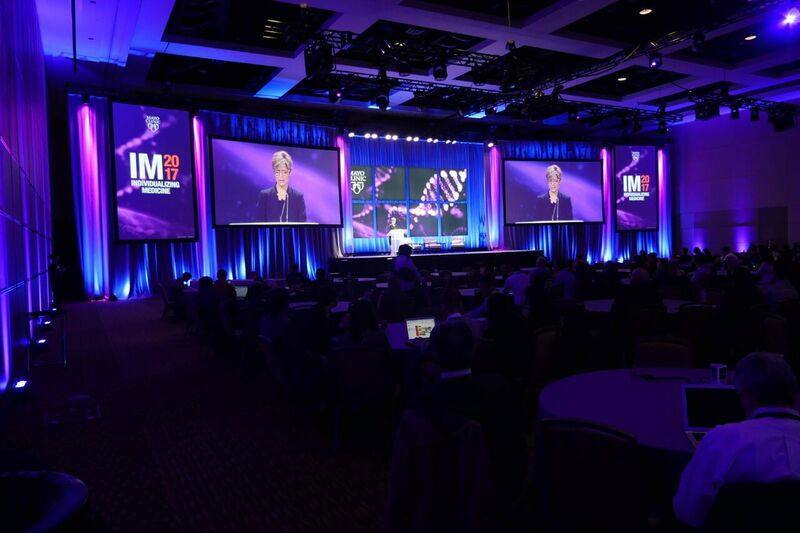 For a wrap up and summary of news related to the conference on the Center for Individualized Medicine, visit our blog, Facebook, LinkedIn or Twitter at @MayoClinicCIM and use the hashtag #CIMCon17.